Retailer GAME have started to offer online pre-orders on pre-owned games, in what appears to be a rather desperate move. It’s a move that is sure to anger both gaming publishers and developers in yet another short-sighted move from the struggling high street store. The idea behind this unusual concept is that games are being offered from one week after their official release date and promised savings of up to £21 under the recommended retail price, but they seem oblivious to the fact the majority of savvy gamers do not spend over fifty pounds on a game in the first place. The pre-owned market has never been popular in the gaming industry as the people involved with creating a game see nothing of the revenue, which gave birth to the inevitable online pass; a thorn in the side of many a gamer in the last 12 months. The idea is that it will work the same as any other pre-order service, but a closer look at this offer reveals that the deal is not as good as it may appear. 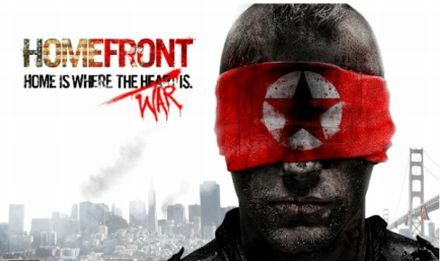 Let’s start by looking at the future release of Homefront, available to pre-order brand new and delivered to your door on the day of release for £32.85 from Simply Games. However using the new offer from GAME you could wait for a week and have a pre-owned version for and pay an extra pound for the privilege at £33.99. GAME have pissed a lot of gamers off for sometime now, with their in-store aggressive sales techniques, inflated prices and poor trade in values, but this latest move will alienate them further by getting on the wrong side of the publishers and developers. It is sad to see the decline of gaming stores on the high street but equally it’s nothing short of embarrassing to see them make mistake after mistake. As I predicted before, the store will continue its decline. Only last week I entered a store and using my observation skills (acquired from a lifetime of gaming) I witnessed the manager motion with a nod to one of his sales people to pounce on me and give a convincing and persuasive sales pitch and ensure that I pre-order Nintendo 3DS. Anyone that has been in a GAME store will know this is normal practice but as the young worker was telling me about the product, the manager then came over and began rudely taking over his subordinate. It was rather reminiscent of a desperate timeshare salesman than a respected manager of a high street store. 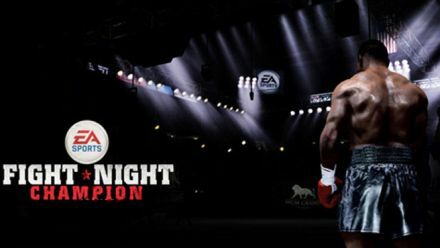 Another look at the games on offer reveals that a second-hand copy of EA’s latest sports title, Fight Night Champion, can be pre-ordered for £33.99 or you could simply order it brand new and sealed for sixty-one pence more at the Game Collection for £34.60. Fight Night Champion, buy pre-owned and save 61 pence! I would imagine that GAME’s master plan is that they can make more revenue from the pre-owned games than the new released titles, but this move will upset the gaming industry by quite literally biting the hand that feeds. Consumers that actually go for the deal will very often find themselves having to buy an online pass for EA titles, which voids any savings made by buying a second-hand disc with a few scratches thrown in for your trouble. Looking to the future, it would be no surprise to see the next generation of consoles will only play digital distributed games and leave nothing but a tumbleweed left on the high street. I ponder if there is any other company out there that seems so out of touch with its customer base, its suppliers and run by people who seem genuinely clueless? I can honestly think of no company other than GAME that seems intent on being in self-destruct mode, but what do you think? Thing with this is, I can get games for £30 on release day (sometimes a day earlier), and even sometimes with free DLC from Gameplay.co.uk. I can understand Games ploy, they’re near enough dead in the water, but I’ll always take the new game over the pre-owned one.